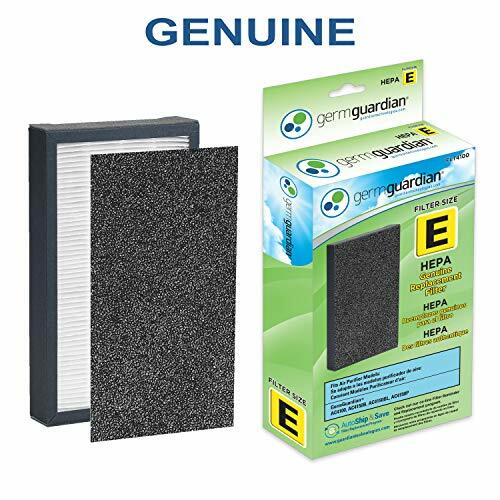 GermGuardian FLT4100 HEPA GENUINE Replacement Filter E is a combination filter. It incorporates multiple layers of filtration including HEPA and charcoal to help improve your indoor air quality. HEPA filter captures 99% of dust and allergens, pet dander, mold spores and plant pollens. It is recommended to use with the GermGuardian AC4100 or AC4150P/AC4150BL. The use of this genuine Guardian Technologies replacement part will maintain the product's performance.